As an entrepreneur you face many difficult tasks. One of them can seem like the hardest of them all, and it pops up at random, sometimes when you least expect it. We’re talking about self-doubt. How can you conquer it? 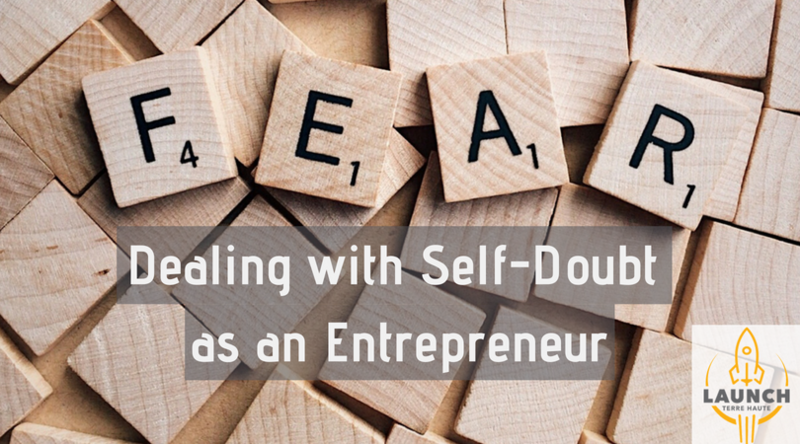 Self-doubt is something everyone deals with and in the business world it can be rather brainwashing towards your career. Our recent Startup Ladies She-Suite event was very well received, because we can ALL relate to these nagging feelings. Mental health as an entrepreneur and business owner is something you need to pay attention too. Thanks to the help of Dana Simons, founder of Next Steps Foundation and psychiatrist who lead our workshop, we’re sharing the key points here. Outlined below are six tips on how to find yourself dominating the horrible feeling we call self-doubt. Praise Yourself – Have you ever sat back and thought of how many times your inner voice has degraded you in a day? For many, it can be quite heartbreaking. When faced with the situation of negative thoughts coming into your mind, take time to think of positive words that describe you. That voice in your head may be telling you you’re about to embarrass yourself pitching your business idea to investors, but tell yourself what is good in the situation; “I’m very passionate for this idea.” Positive thinking will drive out those negative thoughts. Be Thankful – Self-doubt can tear you apart to the point of forgetting how far you’ve come in the entrepreneurial world. Remember to be grateful for everything you’ve accomplished. It’s easy to think of how much work is still to be done, but thinking of the challenges you’ve overcome doesn’t happen often enough. Be thankful that your gaining new clients, you’re finally able to move into a bigger office, you can hire more employees, anything that results from your accomplishments. Gratitude and gratefulness will feed your heart and mind. Don’t Worry About Perception –Stop spending all your time and energy worrying what other people think about you. Let’s face it, people are going to have opinions of you and in business, some of those can be tough. What you need to do is focus on yourself and your goals. Doing so will lead you to become the best you and that will bring positive energy towards you and your surroundings. Give Yourself Credit – Reminding yourself of prior successes is another way of getting rid of self-doubt. It’s easy to think of everything that can go wrong. Focus on your previous accomplishments can help bring that self confidence back. Every time a negative thought comes into mind, think of how many times you’ve met or surpassed your goals. Forgive Yourself – We’re human and things don’t always go as planned. You may not have received the necessary funding for your upcoming project or the raise you were expecting never came, it’s okay. It may not seem like it at the moment, but it is. You must learn to not criticize every little thing and think about the “what ifs”. You did your best, so pick yourself up, dust the negativity off and grow from the experience. You are the best you. Self-doubt is a creature no one wants to experience, yet everyone does. We’re human! And, being an entrepreneur can be a lonely space sometimes. Self-doubt can slowly but surely tear you down and negatively impact your career. The more you push yourself, the more you’ll be able to see what you’re capable of achieving. Remember, everyone deals with things differently. Do what works for you. Feel free to share your suggestions in the comments below!